Following her previous outing, Katy Perry's stylist Jamie Mizrahi posted another look of her via instagram today(January 25th) rocking an all black look. 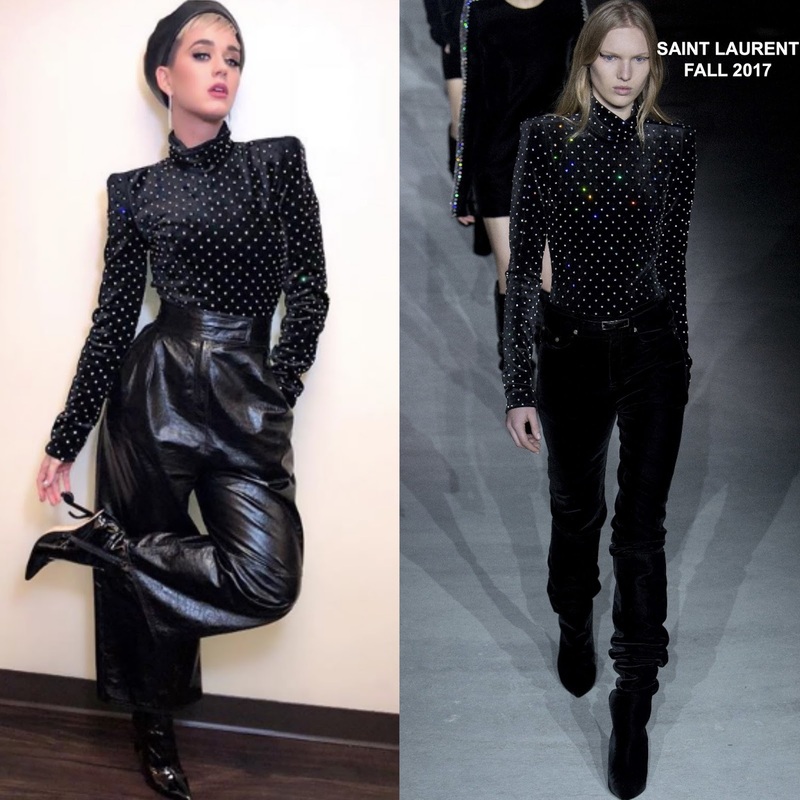 She posed for the gram in a SAINT LAURENT FALL 2017 black ensemble which featured a long sleeve velvet, silver embellished turtleneck and black leather culottes. Her look was accessorized with a black beret, gold earrings and boots from her namesake show collection. Smokey eyes and pink lips topped off her look. What do you think of Katy's instagram style?